For all the Hello Kitty fanatics out there, I bet that there has been a time where you wished to stay (or even live) in a themed Hello Kitty room. Well, guess what…? You now have the chance to make that dream come true and check it off your bucket list, because Keio Plaza Hotel Tokyo in Japan has original Hello Kitty rooms available in two stunning themes!! So get ready and treat your friends, your family, your kids, your girlfriend, or just yourself to this one-of-a-kind indulgence! NOTE: If in case you haven’t heard of Hello Kitty before (which I find hard to believe), she’s basically a fictional character produced by the Japanese company Sanrio in 1974 and who has since been a global phenomenon and superstar for people of all ages. To illustrate, the character has turned 40 years old in 2014 and she was estimated to be worth about $7 billion a year — all without advertising! Clearly, her whole popularity is ‘effortless’ in a sense. I may not exactly be a crazy enthusiast of the franchise today, but Hello Kitty has surely been a part of my childhood. In fact, there has actually been a time back in elementary school where I begged my mom to have all of my stuff in pink Hello Kitty fashion. So~! When Keio Plaza Hotel Tokyo invited me to see their themed Hello Kitty room, a wave of nostalgia overwhelmed me and I gladly said YES in a heartbeat! 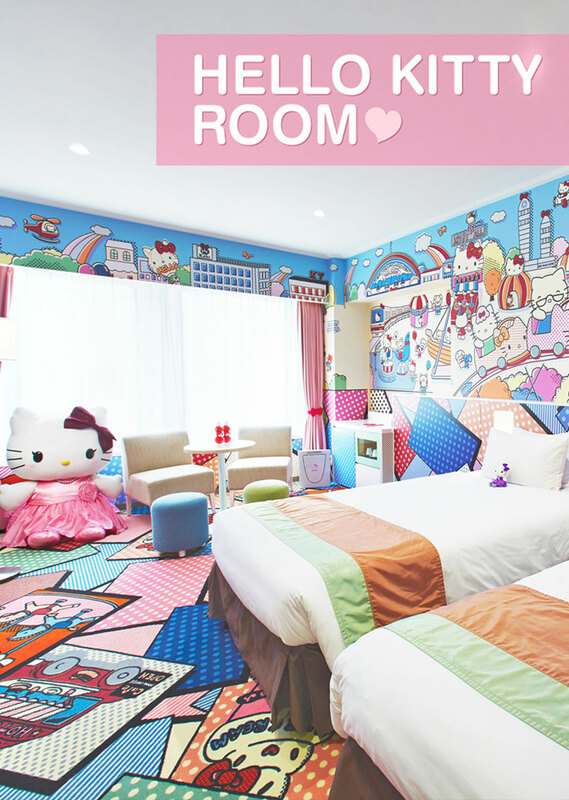 Splashed in fun pastel and neon colors, this Hello Kitty room is a feast for the eyes with its pop art ‘feel’! To add, every single thing in the room is branded — from the towels, to your slippers, the hairdryer, the humidifier, the keys, the water bottles, the toiletries, the kettle, and more. In contrast to that of Kitty Town, the Princess Kitty is masked under a more serious and elegant tone as it lets you spend a staycation like a fairytale princess! What I especially loved with this room is the unique heel-shaped couch for the living room area. Express Check-In. All guests at the hotel that book a Hello Kitty room gets exclusive and express check-in at the ‘Premier Counter’. Hello Kitty Special Menu. Still with regards to food, you can also order original Hello Kitty desserts and drinks such as an apple tart, mascarpone cheesecake, coffee, and royal milk tea! Take Home Items. You are even absolutely free to take home some of the items in your room like the Hello Kitty letter writing sets, doll, ribbon water bottles, pen, plastic bag, and skin care set. 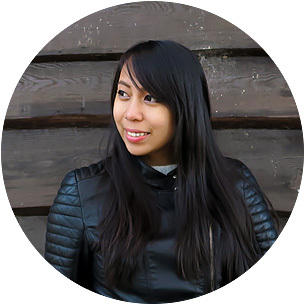 It’s plain to see that this is a unique experience which you should NOT miss out on, especially if Hello Kitty has been a part of your life at some point (no matter how brief that may have been). Or better yet, go and gift this experience to a Hello Kitty lover who you know and love. I guarantee you that it will be a pleasant surprise that they will forever remember! Of course, this is all thanks to Keio Plaza Hotel Tokyo for whipping up these amazing and fun themed Hello Kitty rooms. The price may be hefty, but it will be an enjoyable affair that’s worth every cent! So what are you waiting for…? Stay in a Hello Kitty Room NOW! What do you think of the Hello Kitty rooms? Or have you already stayed in these rooms? How was it? Do u know the newest Kitty Room will open in Nagoya, Japan? It has so lovely Kitty's sofa! Omg, this really took me back! I was never a super fan, but I did have Hello Kitty things when I grew up and I think it would be really cool to stay at the hotel. I love that heel-shaped couch too! We're the same Vicky! :D And yeah I absolutely loved the heel chair, it was so cute! OMG! this is over the top! LOL! but love the photos and the post.